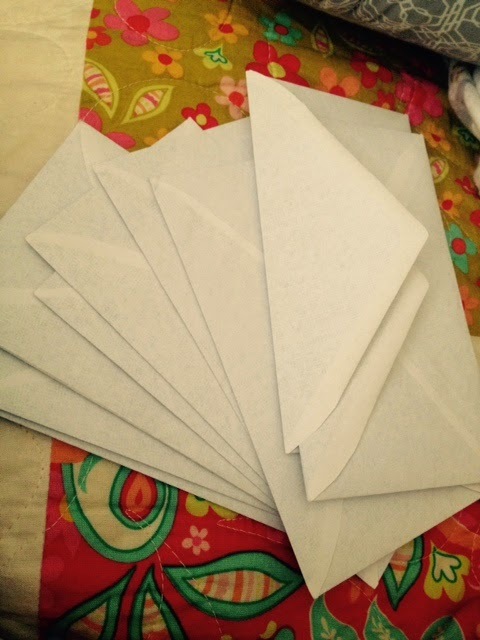 Thrifty in the Burg: Organizing Your Coupons - So Long Envelopes! 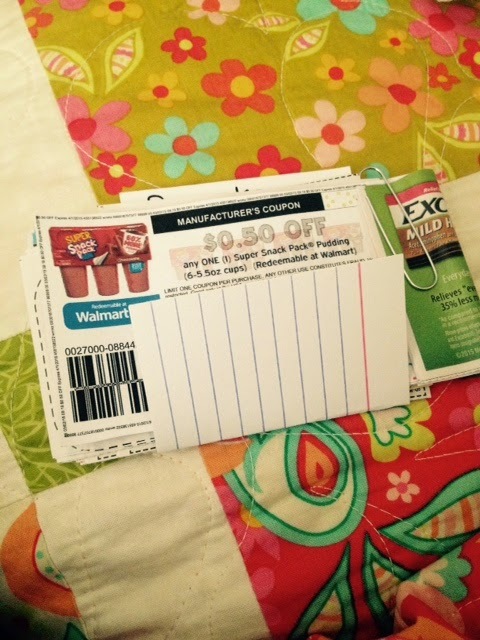 Organizing Your Coupons - So Long Envelopes! Yesterday I finally decided to throw out the old envelope method and upgrade to something else. 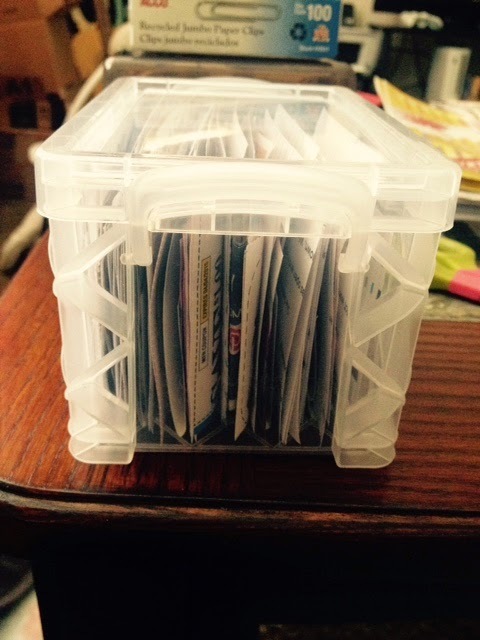 I have been wanting to find a different method of storing and organizing my coupons and I finally found one! Organizing your coupons will save you so much time in planning your shopping trip. And save you time while you are at the store. So finding a good way to keep your coupons organized is a good idea and I highly recommend it. I would also recommend finding a method that works for you. There are so many out there! I found a small plastic box at Walmart for $2.40 and thought I would give it a try. So far it has worked great for me. I went to Walmart today to get a couple things and it was so much easier to use. I love having all of my coupons in one container instead of several different envelopes. 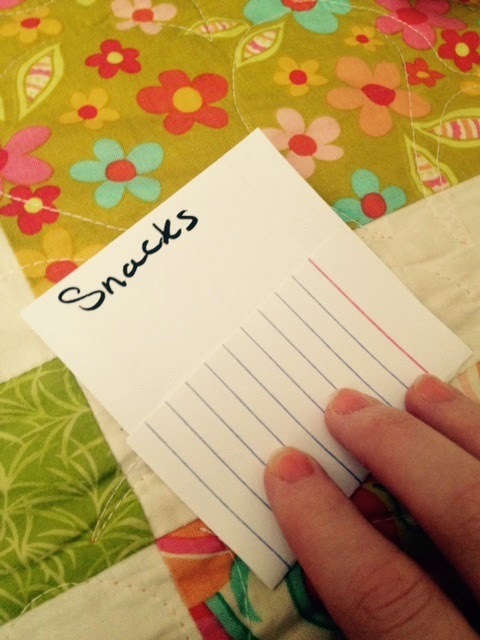 I used index cards to sort my different categories. I then wrote the category on the blank side of the card and folded the bottom half to create a divider of some sorts. I then can just place the coupons inside their designated spots. I am putting this method in test mode right now to make sure that it works best for me. It seems to be working out so far. The box is small enough that it can fit in my purse. So it is easy to bring to the store with me. I still have a couple envelopes I am using to put my coupons in that I am using for my planned shopping trip. It is so much easier to have everything ready to go before you head to the store. It saves time and frustration. Don't forget to bring all of your clipped coupons to the store with you as well because you never know if you will come across something that is at a rock bottom price that you need. 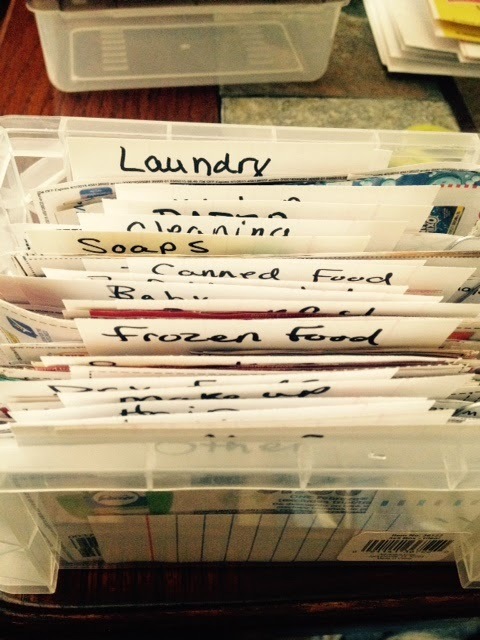 What ways do you keep your coupons organized? Please share with us! 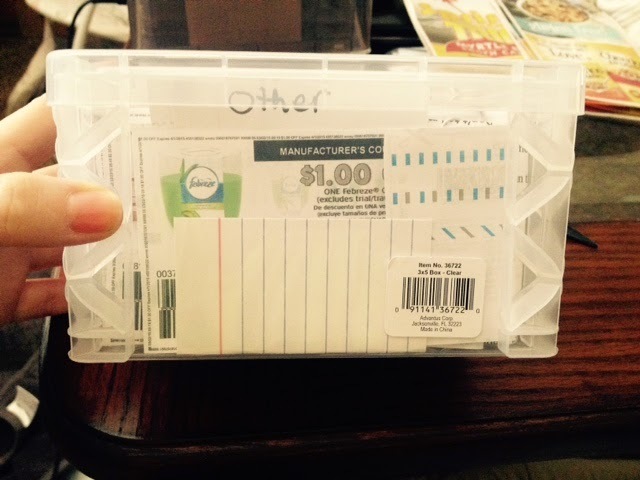 Need an idea on a coupon organizer? You might want to try this! It has almost a 5 star rating. It can strap right onto your shopping cart!